As parents, we want our children to internalize positive values and the discernment to make wise choices. We encourage them to begin developing this kind of maturity early in hopes that, over time, they will internalize the skills necessary to do so independently. How can we help our children internalize the positive values and behaviors needed to live well? Here are some do’s and don’ts to consider. Don’t yell. Yelling “scrambles” children’s minds. It threatens their sense of security. They feel responsible for their parent’s anger and threatened at the same time. Their fight or flight system is activated as a result; but they can’t run or fight. They are left in limbo, frozen, minds scrambled, unable to listen and unable to learn. Rather than yell, stay calm. Speak firmly but respectfully. Don’t lecture. Children stop listening when parents lecture. They shut down. Instead, make your statements brief, concise, and to the point. Don’t make comparisons. Comparisons never turnout well. Instead of helping to internalize positive values, comparisons contribute to a poor self-image, overly competitive behavior, fear of failure, and resentment. Focus on the specific behavior you want to address instead. Do build on what they know already. Children already have a surprising ability to know right from wrong. Just check out this video from Yale University’s Infant Cognition Center, you might be surprised. Capitalize on that innate knowledge and encourage it. Rather than simply telling them what to do, ask them what they think and gently give input. Talk to them about choices movie characters make and the consequences. When a friend does something, ask them about it and their thoughts. Give them a chance to talk and develop their knowledge of right and wrong with your gently guidance and acceptance. Do let them make choices. Children of all ages can make choices. Of course the nature of those choices will change over time; but, the opportunity to make choices will help them internalize positive values at any age. Let your toddler pick a shirt from the two you lay out. 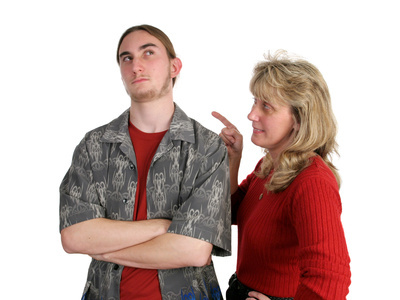 Your teen, on the other hand, can pick out a shirt from his whole closet. Let them make choices about simple daily activities like whether to take a bath or shower. And let them participate in larger more complex family decisions like where to go for dinner or what to do on vacation. Do let them suffer. Sometimes our children will make poor choices that lead to some consequence. Don’t bail them out. Do let them suffer the consequences. Let them experience the results of their choices and their behaviors. Of course, take the initiative to protect them from decisions that can lead to greater harm. But, if they forget their lunch one day, let them suffer. They’ll survive. If they neglect their school project, let them suffer a poor grade. They’ll recover. Our children, like us, will learn a lot from the experience of a consequence. DON’T neglect these four Do’s and four Don’ts to help your children internalize positive values. Get out there and DO them. And, have fun!